These are some of the signboards installed around Southwest bay as part of the creation of the MPA networks. Support for this project was provided by the Waitt Foundation. Check out the latest video from the region on our videos page. The Island Reach story began in 2010 at Berkshire Sweet Gold Maple Farm with our family’s decision to take action for oceans in crisis. 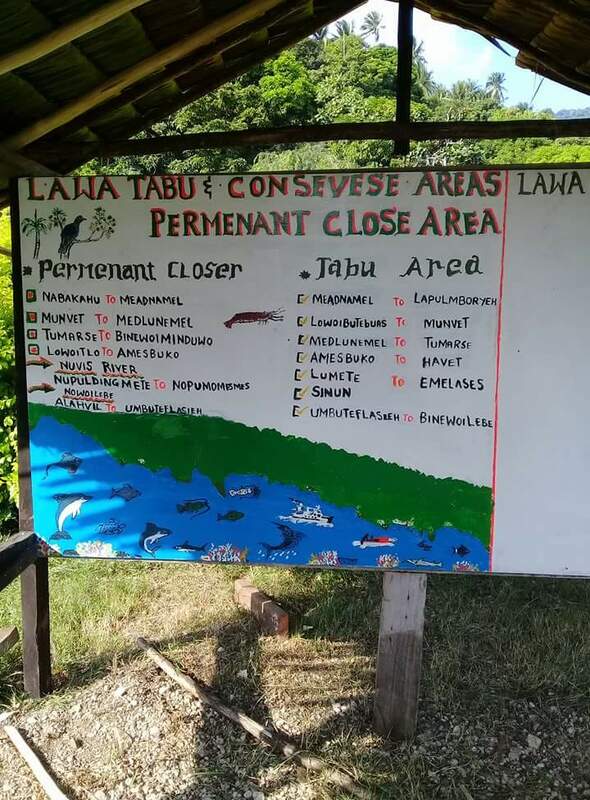 Today, in Vanuatu, Island Reach works with communities, government and non-profit sectors to empower local environmental champions, and bring people closer together to provide support, inspire conservation projects, and build greater resilience and food security across this stunning archipelago. The remarkable friendships sustain us as a community of grassroots activists and energize us for the year ahead! As 2017 draws to a close, we’re reaching out to ask for your support with a donation to Island Reach. 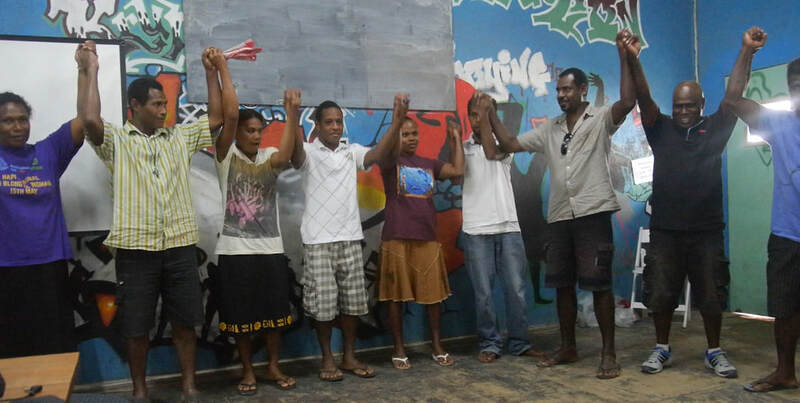 Whatever you contribute will go to community projects led by local activists! All donations are tax-deductible, AND will be matched by a generous donor, so your impact will be doubled! And if you haven’t had a chance yet, check out the powerful and gripping documentary Chasing Coral – available on Netflix - and nominated for an Academy Award for Best Documentary. Ronneth John, project manager for Island Reach, appears in the film speaking about the coral bleaching crisis in Vanuatu. We greatly appreciate any contribution you can make to fuel IR’s rapidly growing ridge to reef activism. Photos with our 2017 Fellow, Sam S.
Hey everyone, we are aware how remiss we our about sharing our news and updates! Lots has been happening and we look forward to sharing more details here soon. In the meantime, visit our Facebook page where we've been posting photos and updates on a more regular basis. ﻿With our 2016 field activities aboard RV Llyr still underway, we're happy to share this latest video about our work and partnerships across the archipelago. We've been in Vanuatu for almost two months and a lot has been happening! Some highlights: a partnership with the Nguna-Pele Marine and Land Protected Area Network; a dynamic week at the Annual General Meeting of the Vanua-tai Environmental Monitors, which included assisting with the creation of a women's network; we've created a presentation which connects people's gardening in the bush with the herbivore fish gardening the reefs (this has been well received as helping clarify the need for fish to clean the reef and impacts of overfishing); we've worked with Vanua-tai partners from south and west Malekula, which included enlisting a new woman monitor from Melip, and helped launch a brand new network for the Southwest Bay region, called the Senewnu Environmental Network; IR Project Coordinator Ronneth John prepared a management plan for the Napi Conservation Area where last year IR helped launch the Napi-Nata-Lili Environmental network; we've produced several video productions including one about an aquaculture project in Santo, and one on organic gardening for climate change adaptation. 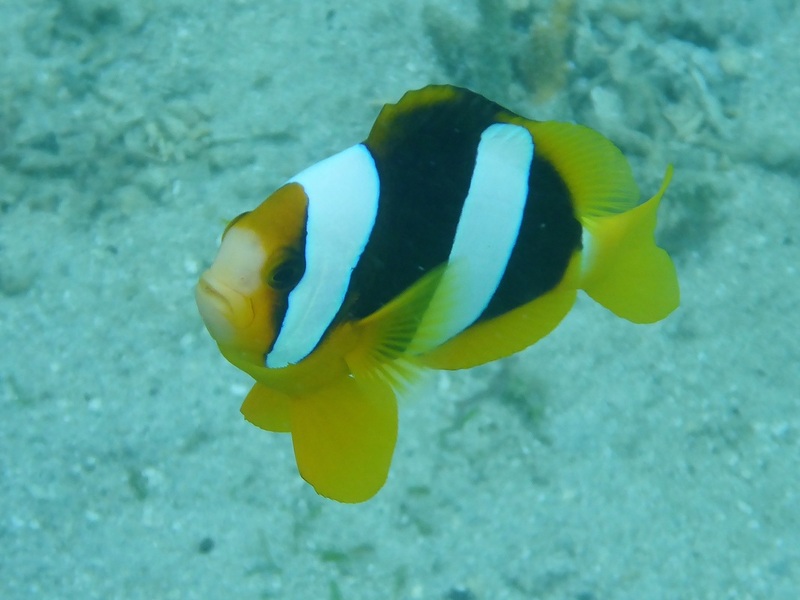 We've completed several rapid reef surveys, and witnessed significant bleaching throughout the islands. This week (3rd week of June), we'll be heading up to the Banks Islands where we've been planning a series of events with our Vanua-tai partners, including some environmental music concerts with traditional bamboo bands! Very busy! We only have occasional access to internet here, but we'll do our best to update either here on our website or on Facebook in the weeks to come. We've just uploaded a new video to Youtube and posted it on our videos page. The video was filmed on NW Malekula island and documents three villages coming together to launch the Napi Nata Lili Environment Network. Together, these communities have set aside vast areas of marine and coastal habitats as protected areas. Island Reach was honored to be part of this celebration and to document this ceremony. 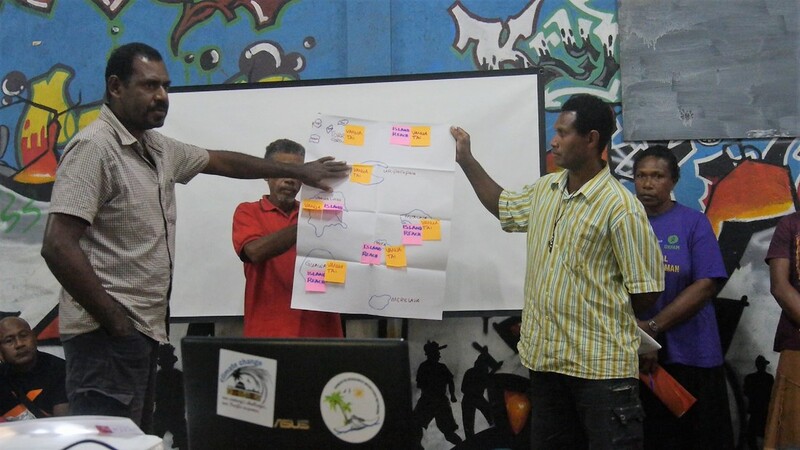 The video also features a short section of IR Project Coordinator, Willie Kenneth, introducing Reef Check survey methodologies to community members.